Please join us in our luminous void. Now we are with you. Space is abolished. Cinema is present. His films are inspired by, and constructed around, images, locations, and characters and their immediate situations. He has made bold use of a wide range of moving image devices including DSLR, VHS, DV, Super-8, Go-Pro, webcam and mobile phone. In editing, he often combines different sources of imagery and almost always does extensive post-production work on the look of his films. A skilled photographer, Rashidi has regularly experimented with unusual lenses and filters, even making his own. His feature, Phantom Islands (2018), received much praise for its distinctive blurry-edged look that resulted from using specialist 19th century lenses with a Blackmagic URSA 4K camera. Rashidi also generally designs the soundscapes that accompany his films. His decision to avoid dialogue in most films is a conscious link to early cinema, which is a frequent point of reference in his work and a reminder of his belief that cinema is always in the process of being invented and reinvented. Between 2000 and 2008, Rouzbeh Rashidi directed and produced forty no-budget short films. Since 2008 he has focused on feature projects conceiving and producing more than 30 underground feature-length films, of which many of them were entirely zero-budget and five low-budget productions funded by the Arts Council of Ireland. In 2011 he initiated the Homo Sapiens Project (HSP), an ongoing series of personal experimental video works. Since its inception HSP has undergone a totally organic metamorphosis, drastically mutating from cryptic film diaries and oneiric sketches to fully-polished feature films. As a result, the project has created many different experiences for Rashidi as a filmmaker; yet while HSP is steadily evolving, one thing remains constant: the view to create impressionistic portraits of people and places, suffusing them with an eerie sense of mystery that is perhaps reminiscent of horror and sci-fi cinema. Rashidi has collaborated with a large selection of artists from all over the world and, has so far completed 199 instalments that vary from 1 to 120 minutes in duration. The Homo Sapiens Project has now reached a crucial point in its existence: the 200th instalment will be a major collaborative feature film. His films have been shown in many film festivals, galleries, and showcases throughout the world, including Iran, Ireland, Northern Ireland, Wales, UAE, USA, Hungary, India, Italy, Greece, France, England, Australia, Croatia, Brazil, Argentina, Philippines, Switzerland, Peru, Chile, Germany, Spain, Poland, Thailand, Russia, Austria, Canada, Portugal, Colombia, Ecuador, Latvia, Bosnia and Herzegovina, Lithuania, Norway, The Netherlands, Norway, Serbia, Turkey. Full details HERE. Rouzbeh Rashidi is the recipient of the Arts Council of Ireland’s ‘Film Project Award’ and ‘Film Bursary Award’ several times for his experimental feature films and Homo Sapiens Project. ‘Spooool.ie’ acclaimed his recent feature, ‘Ten Years in the Sun’, which was premiered at Dublin International Film Festival 2015 (DIFF), as “a bold and unconventional film … One of the standout films from this year’s DIFF”. Rashidi moved to Ireland in 2004 and currently lives and works in Dublin. For an in-depth account of his work in the context of contemporary Irish experimental film, see ‘New Voices in Irish Experimental Cinema’, an article by Donal Foreman. In mid-2014, the first comprehensive history of the Remodernist film movement, ‘Le cinéma remoderniste: Histoire et théorie d’une esthétique contemporaine’, was published at the Université de la Sorbonne Nouvelle, Paris. It is a 244-page thesis by Florian Maricourt, under the research direction of Nicole Brenez. Read it HERE (in French). Rouzbeh Rashidi archives and produces EFS films, as well as arranging, programming, and presenting screenings of this constantly-growing body of work. He also manages all EFS online video hosting (including EFS ‘Video On Demand’) where a selection of short, medium, and feature-length films are available for streaming and download. As a filmmaker in his own right, Rashidi has conceived and produced more than 30 feature films, 200 shorts, and the EFS sound project ‘Cinema Cyanide’. Read the EFS statement HERE. 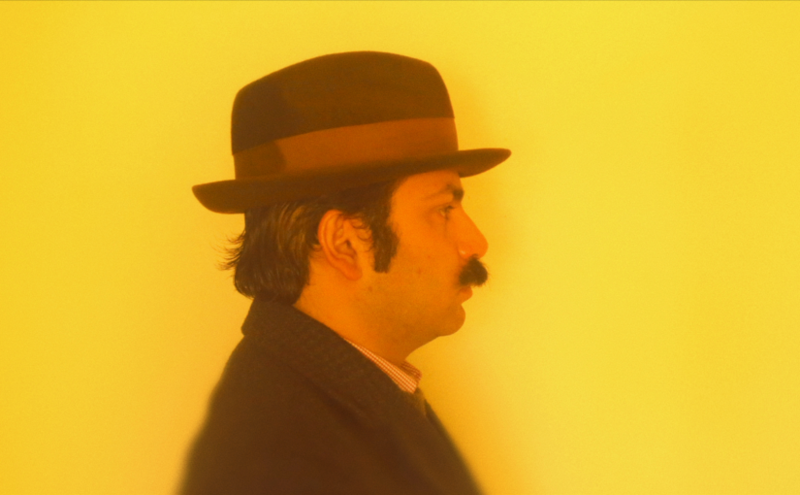 Rouzbeh Rashidi is the founding editor of EFS Publications, an online journal edited and published by the Experimental Film Society.